Be a One Sky Athlete for Africa! You excel in your sport. People sponsor you. We support leadership in Africa. And, Africans make positive changes for sustainability. This is the most fun we’ve had fundraising for Africa, and certainly the healthiest. Everybody wins! Africa has plenty of capacity to create positive change. There is a wealth of motivation, potential, and heart. Where One Sky currently works in Nigeria, most people live on less than $2/day. Thirty leaders have stepped forward to make changes. Simply put: One Sky works to support these leaders. We offer leadership training and help find funding for their grassroots development projects. Most of all, we work together to tackle global problems in innovative, transformative ways. By being a One Sky-Athlete for Africa, you can run, swim, kayak, dance, do yoga…the athletic activity is up to you. Challenge yourself and help us support African leaders. You do the sport you enjoy the most and everybody wins. 4. The donation goes straight to One Sky's projects in Africa. Sign on as an One Sky-Athlete for Africa! For questions and more details, email us. If you donate $100 (you’ll get up to $50 back via tax receipt) and then the Canadian government matches it with $3 for every dollar we raise. So, you’ll see your $100 turn into $400 for Africa. And the amount we spend on administration is $0. 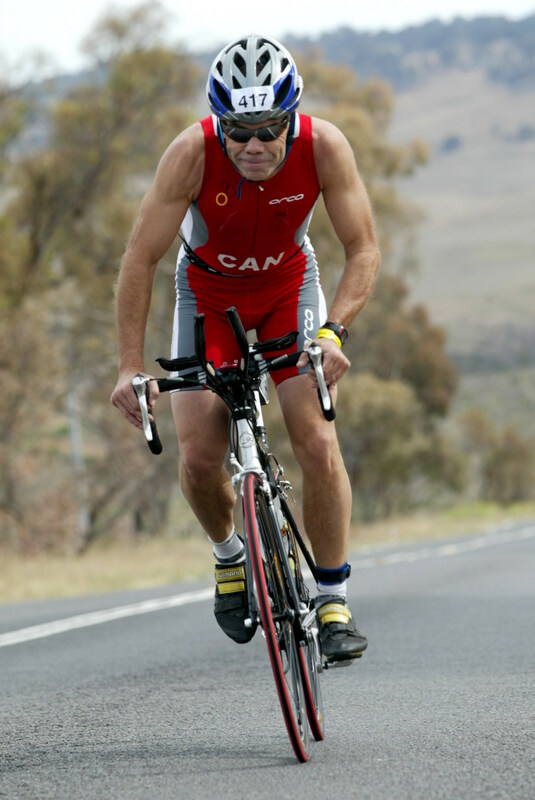 Larry McCulloch did the Ironman 2010 and raised over $1800 for sustainability work in Africa. Ejibwa Irek works for the Organization for Rural and Community Development on women’s empowerment and poverty alleviation through microenterprise. Her organization's projects have directly benefited from donations from One Sky-A4A athletes! WE'VE TRIED IT, IT WORKS! This summer, four One Sky affiliates raised almost $10,000 to support One Sky's work in Nigeria through personal athletic endeavours. To learn more about One Sky athletes and view their personalized webpages, click their name below. Check it out. Get inspired! Visit One Sky's Athletes for Africa page or email us. We look forward to hearing from you!